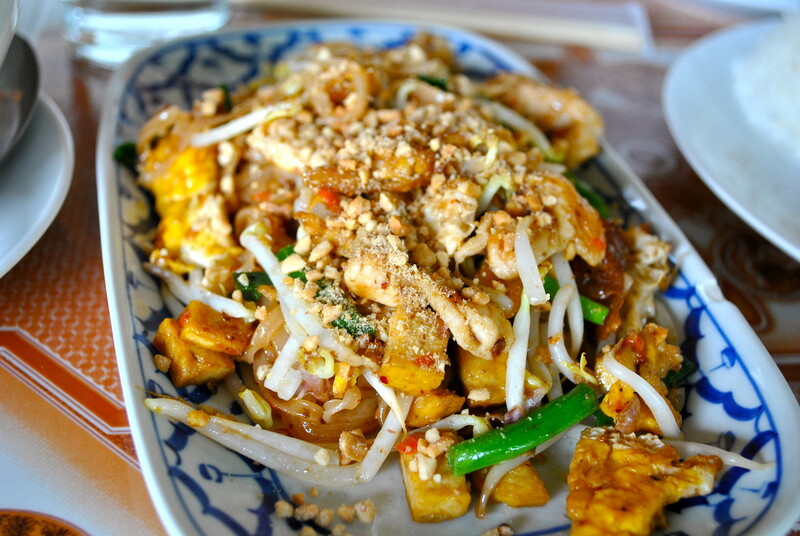 Spicy Chiang Mai Cooking Class Experience! 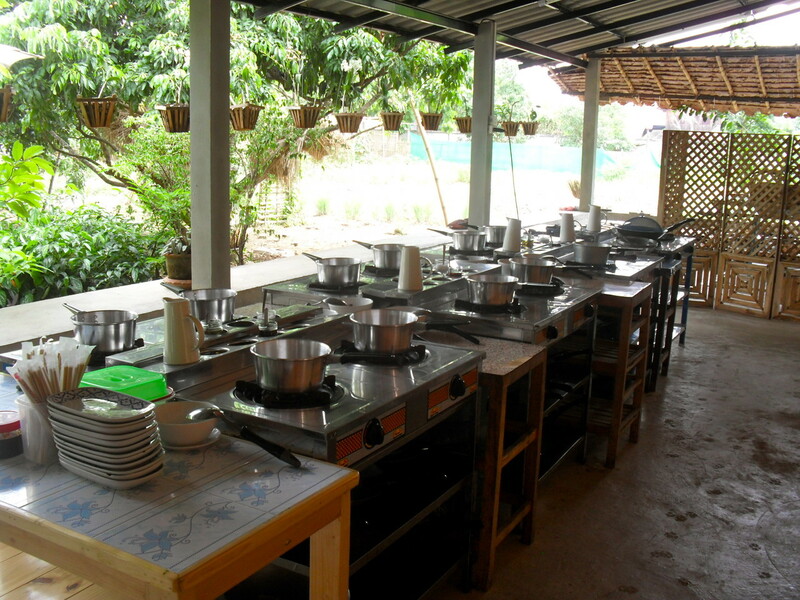 Spicy Chiang Mai Cookery School Experience! I love Asian food, mainly for its fresh, zingy, punchy but sweet flavours. We’ve already written about our obsession with India, Japanese and Vietnamese food, so I couldn’t wait to sign up for a cookery course to learn some Thai culinary tips from the local experts in Chiang Mai! As you’d imagine, it’s a popular activity in Thailand, so there are lots of places offering classes in Chiang Mai, and deciding where to learn is very difficult! 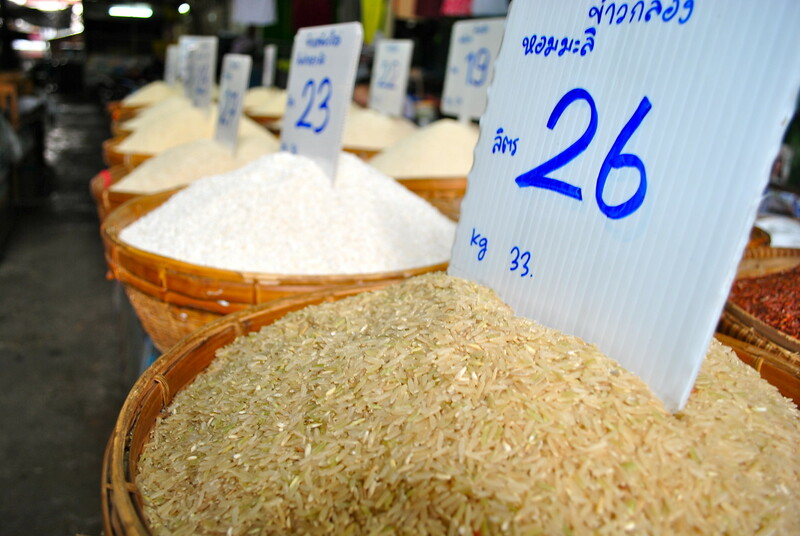 First stop early in the morning was a visit to the local market to meet our cooking buddies for the day and get a lesson on those key ingredients and the all important differences between their six kinds of rice and five kinds of noodle – I had no idea there were so many in the first place! Everything looked so wonderful and fresh – if only our local grocery store at home was as good I’m sure we’d be inspired to use more ingredients! 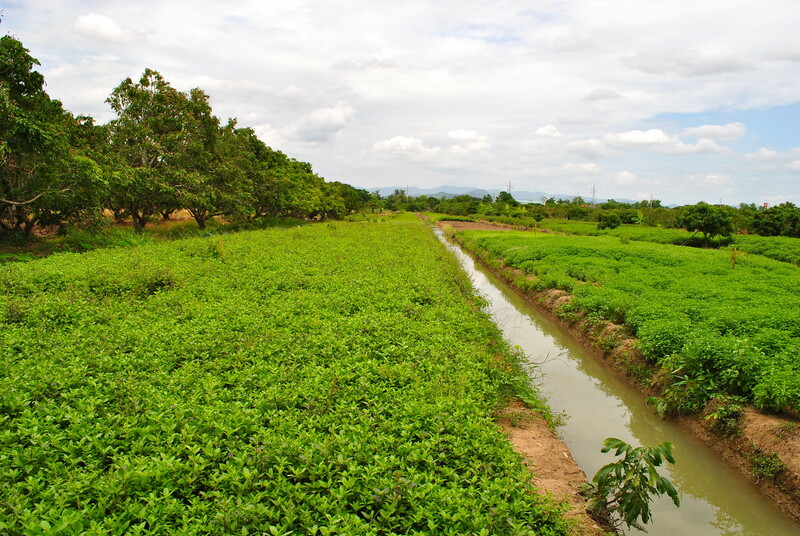 Our experienced guide explained the all important herbs, spices and sauces used to inspire yummy Thai flavours, the most important being basil, coriander, galangal (ginger root), ginger, garlic, kaffir lime, lemon grass and mint. She also introduced us to our ‘friend’ for the day…the chilli! Did you know that orange chillies are in fact the strongest? Our mouths were watering at the thought of sampling all these incredible ingredients – this was definitely my kind of activity for the day! 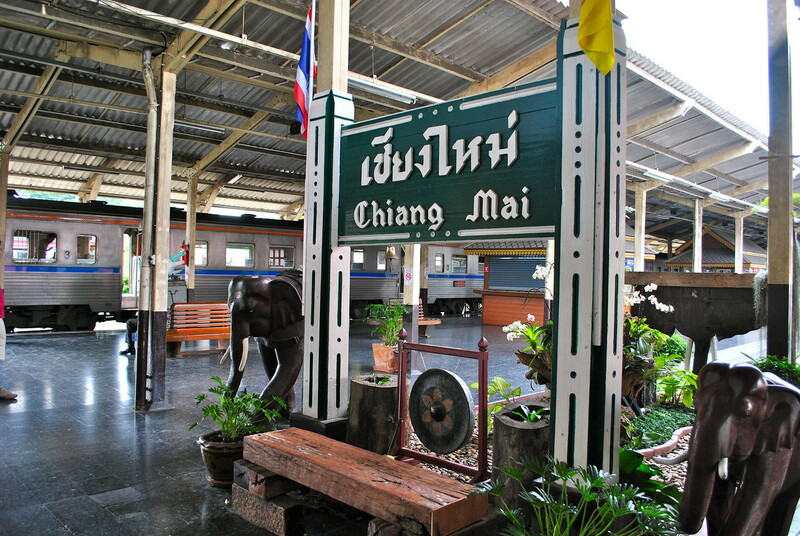 After our market tour, we headed to the train station to catch our local train to the countryside…given this was our first train journey in Thailand I was quite excited, and also looking forward to getting away from the bustling busy town for a day! One fairly slow journey later, with lots of random stops (I’ve now learned this about trains in South East Asia!) we arrived in the countryside, and we were driven to our farmhouse for the day which was beautiful! 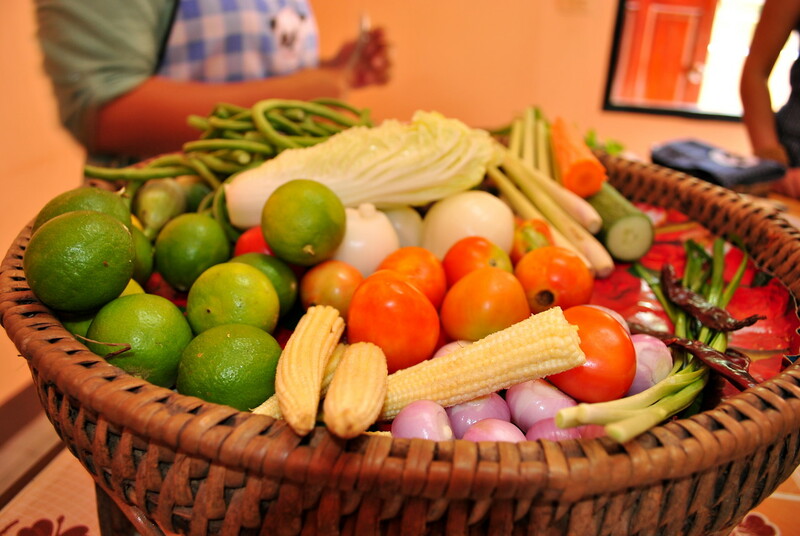 We felt at home as soon as we arrived, and toured around the beautiful garden, sampling the locally grown fruit. Everything in the house was set out perfectly, and we sipped on a refreshing drink as our guide carefully prepared our ingredients for our five pre-selected dishes. Earlier in the day, I had chosen Hot & sour prawn soup, followed by Spring rolls (appetiser), Fried noodle Thai style (Pad Thai), red Panang curry with chicken, and Sweet sticky rice with mango for desert – yummy! After being set up with an apron, knife and chopping board we were ready to go! Our guide began talking us through the preparation for our individually selected dishes and passed around the fresh herbs and ingredients, most of which were freshly picked from the farm and looked delicious… After lots of careful preparation of our many ingredients and all the important curry pastes for our dishes, we were ready to get cooking in our lovely, clean open air kitchen… I really liked how simple it felt to cook our dishes. Of course it took time to prepare the ingredients, but cooking time was no more than 10 minutes for each of our dishes, whilst still producing very healthy and delicious results. We definitely have a lot to learn from the Thai cooking way…pick the best ingredients, chop and bash them with care and then throw them all in the pan – voila!! The tricky part of course, is getting the balance right between the five essential tastes – sweet, sour, hot, salty and bitter, which we certainly haven’t mastered, but at least have a much better idea on how they do it! And here were the results of our ‘hard’ work…I have to say that as I’m not much of a cook at home, I was quite pleased with myself! 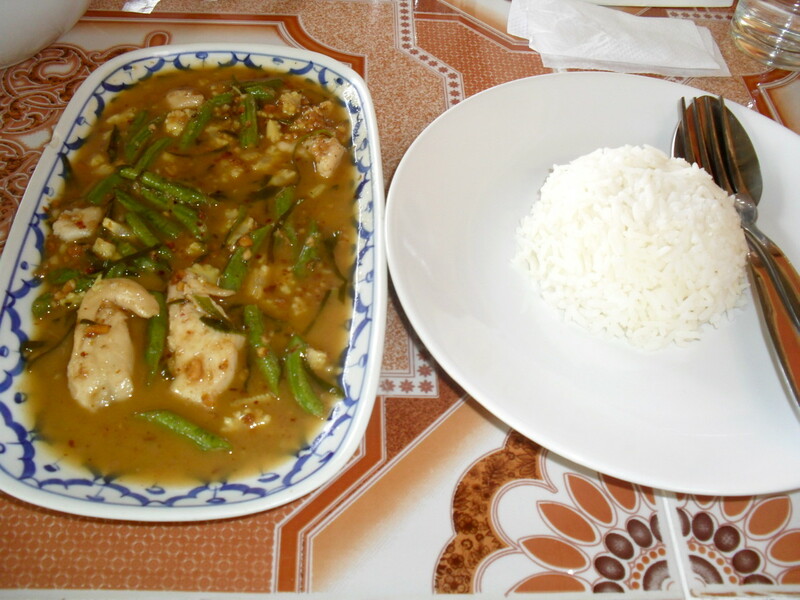 Red Panang curry with chicken – so delicious! We had a brilliant day learning to cook Thai food and would certainly recommend this course by ‘Smart Cook’ in Chiang Mai! 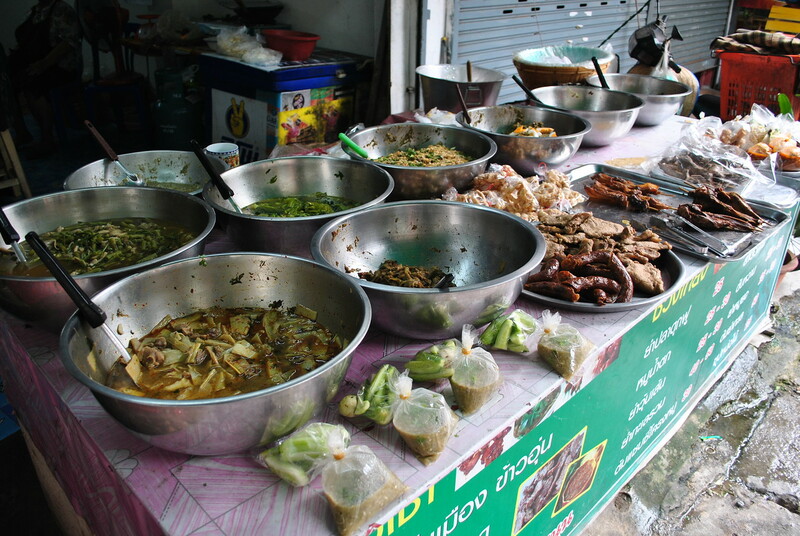 We would also love to know if you’ve ever done a cookery course in Thailand and what your experience was like? What’s your favourite dish? We’d highly recommend anyone who is planning a visit to Chiang Mai enrols in a cooking class, as learning how to make authentic Thai food on your own is a skill that will last a lifetime. Aside from the course, there are over 300 Buddhist temples within the city, including the world famous Wat Phrathat Doi Suthep and Wat Chiang Man. Those who want to experience culture in Chiang Mai further should choose to visit during Loi Krathong, at which time thousands of lanterns are released into the sky, or Songkran, which is when Thailand’s New Year celebrations take place. Book Your Train/Flight/Bus/Ferry Tickets Online! We always recommend that you book your journey in advance, so you have peace of mind that your seats are booked! We recommend using 12go.asia as they offer train, flight, bus and ferry ticket booking online in advance! Check out your journey options and prices here and get your seat reserved! 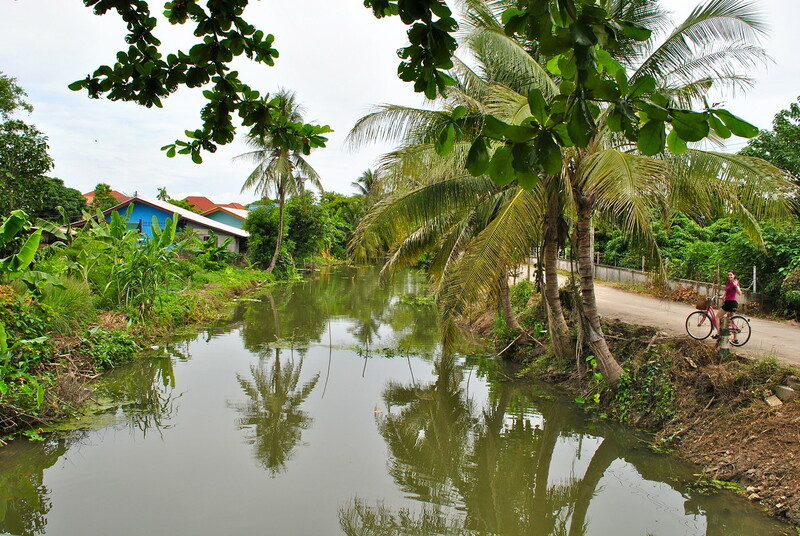 Looking for more Thailand inspiration? Click here. Haha, thanks Christine – consider it a date! This looks like so much fun! I’m determined to do some cooking courses next time I go travelling. 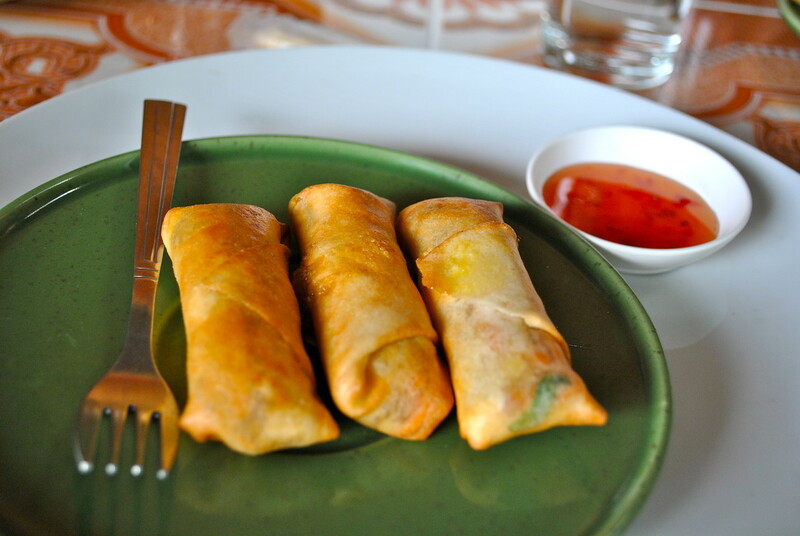 I nearly did a mini course on making spring rolls when I was on a cruise in Halong Bay last year, but I missed out due to being stung by a jellyfish! Ouch sounds nasty Gavin, funnily enough I was also stung by a jellyfish in Halong Bay! You should definitely take some time out for a cooking course, it is one of the highlights of our trip so far! Makes me super hungry sis.. Looks brill! Mmm, that looks delicious! 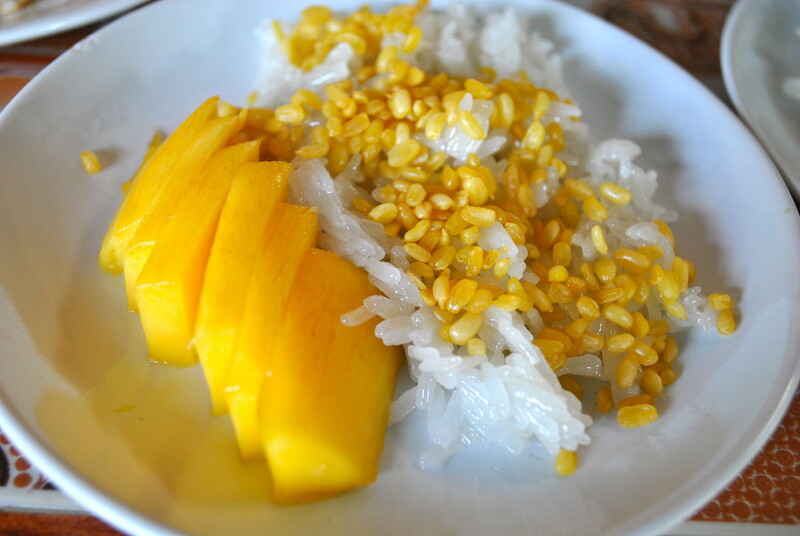 I took my cooking class in Chiang Mai with Siam Rice, which was also very good. 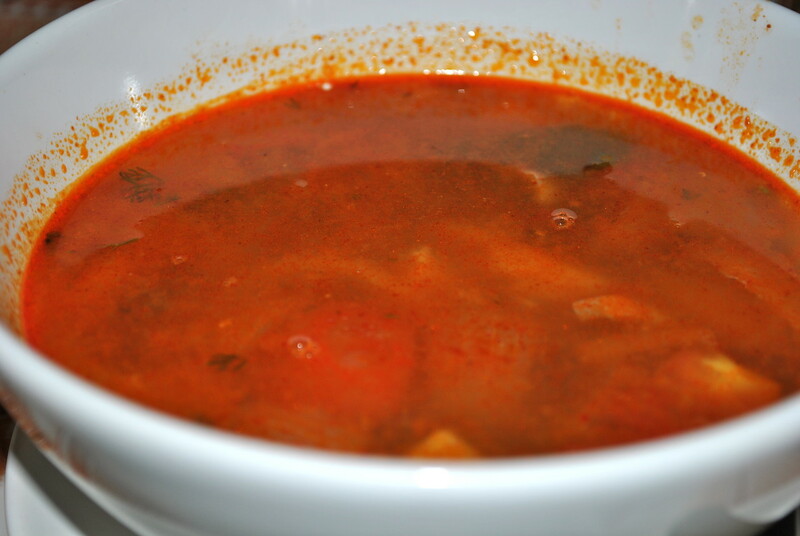 It’s so hard to pick a favorite dish, but I love spicy. My boyfriend and I just cooked some of the Thai dishes that we learned a couple weeks ago, and it turned out pretty well! Sounds great Alexa, there are so many good schools to choose from in Chiang Mai! We can’t wait to try out the recipes on our friends and family when we return, hope they go as well as yours! I looooove to cook and can’t wait to take tons of cooking classes abroad! Am definitely writing this one down to look into for when we finally make it to Thailand! 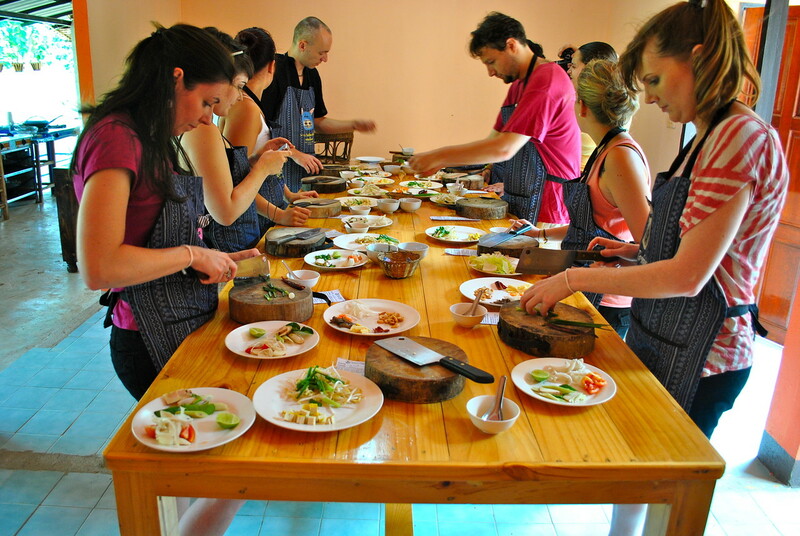 So excited that cooking classes in Asia are so much more affordable than in the US or Europe! Ah great Vicky, glad you enjoyed the post! 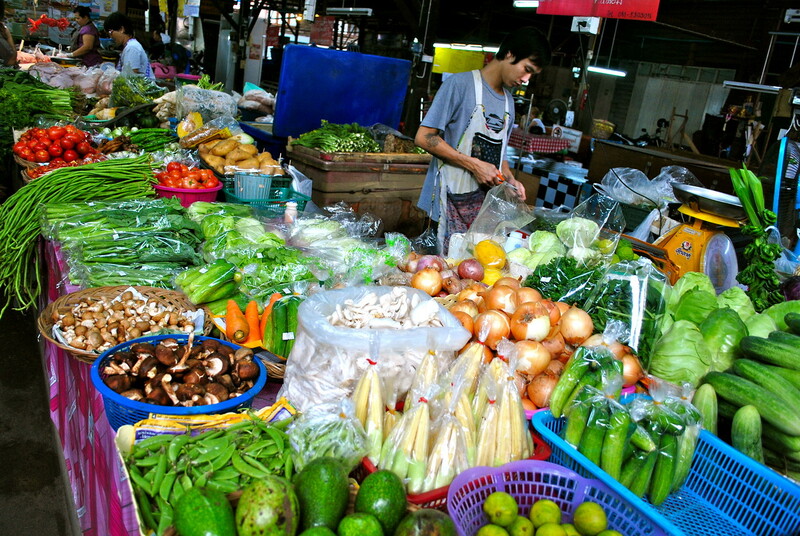 We loved our day cooking, and Chiang Mai is a great place to do it as there’s so much choice and competition! Hi, this sounds amazing! I haven’t been able to find the cooking school you mentioned, unless they are no longer hosting the same cooking experience. Could you post a link of the company for me? Thank you!! I think you might be correct Becky :0( http://www.tripadvisor.co.uk/Attraction_Review-g293917-d1676025-Reviews-Smart_Cook-Chiang_Mai.html the link doesn’t work anymore to their site. Sad as it was a great experience!